This is the registration for a six-day project in the Guadalupe Mountains National Park. The Trail Tamers are returning to its roots by going to the highest peak in Texas with its Guadalupe Peak Trail Project this October 28 through November 2. 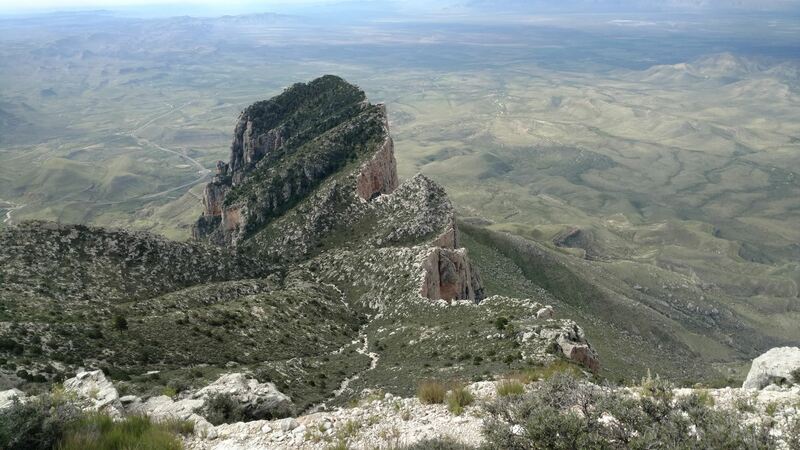 Volunteers will have the opportunity to hike out of the desert through a conifer forest to the top of Guadalupe Peak (elevation 8751 peak) where the amazing vistas to the South and West can be found. You will also get a chance to enjoy the fall colors of McKittrick Canyon Trail during your stay in the Guadalupe Mountains National Park. The Guadalupe Peak Trail is an 8.5 mile round-trip that climbs 3,000 feet to the top of Texas and is a very popular destination for hikers. This will be a trail maintenance project involving the cleaning and repairing of water bars and will not involve new trail construction; however, it will require volunteers to hike up and down the trail each day. Volunteers should also be prepared for wind and temperature extremes. Make sure you have a good pair of boots. Guadalupe Mountains National Park is located in far West Texas on U.S. Highway 62/180. The driving distance is 110 miles east of El Paso, Texas, or 56 miles southwest of Carlsbad, New Mexico. The crew will camp in the group campsite in the Pine Springs Pine Springs (Elevation 5,822'). Located just off U.S. Highway 62/180 near the Pine Springs Visitor Center, Pine Springs Campground is a simple, desert camping area situated at the base of the mountain. There are campground conveniences include: potable water, accessible flush-toilet restrooms, utility sink, and pay telephones. There are no showers available in the campground. Kevin Deiters is the crew leader for the project and he looking to recruit eight volunteers for trail work and two volunteers to plan and cook meals. The project fee for members is $100.00.